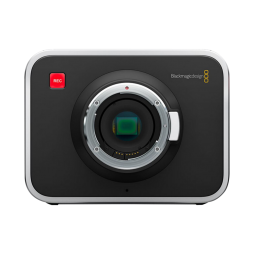 The Blackmagic Design Cinema Camera features a 2.5K image sensor, 13 stops of dynamic range and a Canon EF lens mount. It’s capable of recording 12-bit RAW files at 2.5K resolution, as well as 10-bit Apple ProRes and Avid DNxHD formats at 1080p. The camera records to the three included 240gb removable 2.5″ SSDs, which enable the high data rates required for RAW and ProRes HQ recording. We recommend pairing this camera with a V-lock battery kit to use this camera to its full potential.